Making luxurious home with durable and stunning granite! Stone Design by Santos can design, fabricate and install the customized granite for less at your kitchen countertop, bathroom countertops or even kitchens. The main aim of installing the granite stone is that this material is stiff and porous with the material resistant to any kind of abrasion or scratches. Moreover, it can be used in both the exteriors and the interiors of your home. The granite material is more durable than any other stone so most of the homeowners opt for it. The other reason is the affordability of the material at a moderate cost for bathroom countertops or even flooring. People are always bothered about getting the right stone installed at their home that provides an extremely greater tint to the interiors as well as goes well with exteriors too in case of flooring. Stone Design by Santos provides best granite for less for the bathroom countertops, as we are the popular dealers of the granite stone in and around the Florida town. Our technicians use the latest technology to provide. We have a team of experienced professionals who are always ready to provide quick support to the customers. Most of the granite slabs are obtained from the authorized distributors in the Florida town who provides branded granite stone products. We always focus on the client’s requirements for the provision of modern outlook to the bathroom, kitchen or even flooring. Most of the homeowners desire of getting a dream home, and we strive for our best to render excellent services. If you are looking forward to the licensed and best Stone Designing company in the Florida town, then Stone Design by Santos is your one-stop-shop. We carve out the granite for less according to client’s bathroom countertops requirements. 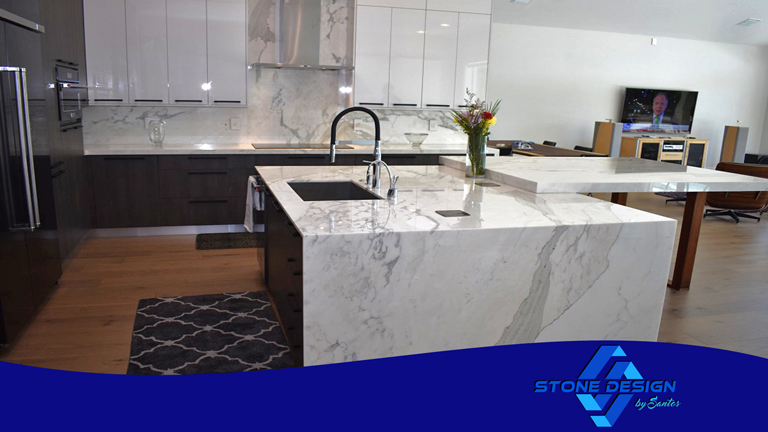 Our technicians can even customize it without any hassle or damage to the granite stone. Below are other significant points to choose our services. Hire Stone Design by Santos for your next bathroom countertop project and witness an unbelievable change. People can reach out to us through our contact page or the contact form below.